The Carli Lansley Foundation is proud to announce that Adam Barrett, ex-Southend United Captain and club “Legend”, has kindly agreed to be a patron for our charity. 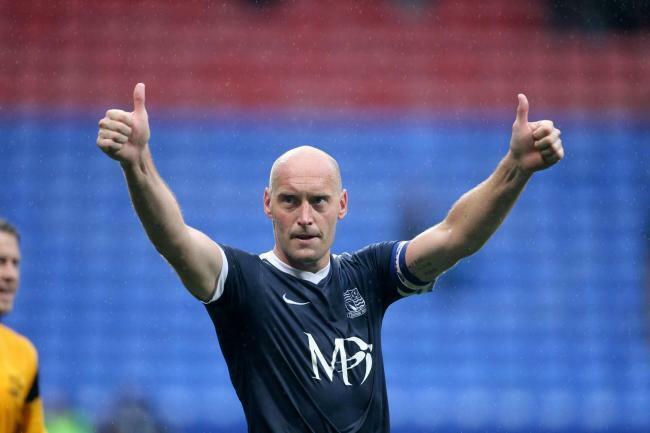 Despite retiring from professional football in February 2017, Adam remains a huge fan favourite at Southend United, where he made 354 appearances (in two spells 2004-2010 and 2015-17). In a career spanning 18 years, Adam made 735 appearances and also played for Plymouth, Mansfield, Bristol Rovers, Crystal Palace, Leyton Orient, Bournemouth, Gillingham and AFC Wimbledon. Immediately after retiring, Adam joined Millwall FC to become their First Team Development Coach. “I am honoured to become a patron of the Carli Lansley Foundation. I have known the family for many years through their dedication in following Southend United and Ethan attending my academy PFA and it has been a pleasure to get to know them as a family. Having my own family makes me realise how inspirational Karl and his children have been in wishing to help others following extremely difficult times. I wish the Carli Lansley Foundation every success for the future, and that many lives can be saved through their amazing work”.